The Acer Chromebox brings the speed and security of Chrome OS to you. On the Chromebox your data is always synced and safe. Plus, there are thousands of useful apps available to help you work and play. 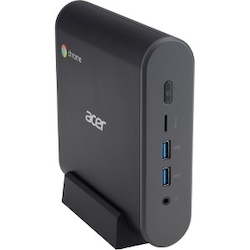 The Acer Chromebox redefines the desktop computing experience.